4 little kittens were found abandoned in one of our colonies last night. They're very friendly and used to humans so they must have been dumped by somebody. ​We’ve had a VERY busy week. 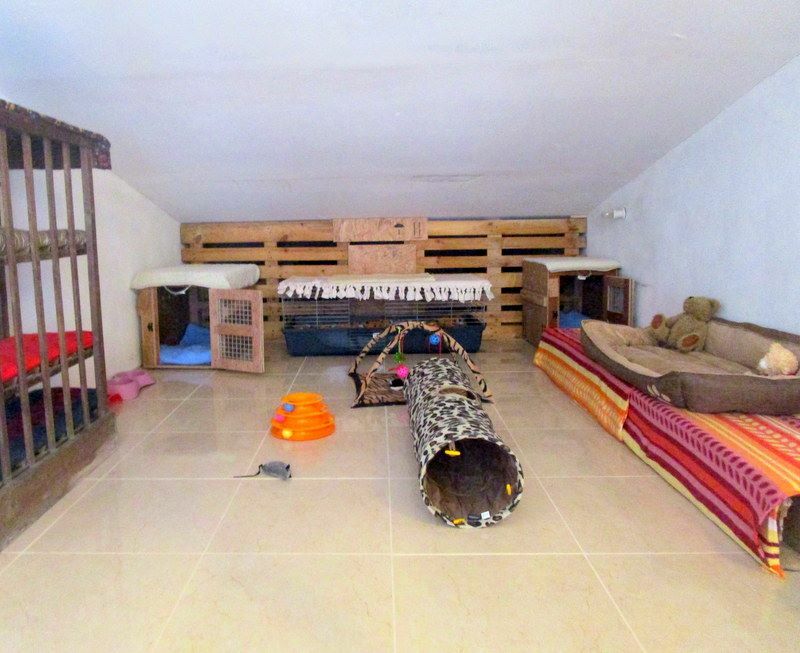 Having so many kittens we had to create space for them so we created Kitten Room 2. BUDDY & HOLLY & MATILDA moved into this new room so they are on “transit”. From this room they can see the other (young) cats in the yard and next week they can join them but will still have a safe haven. 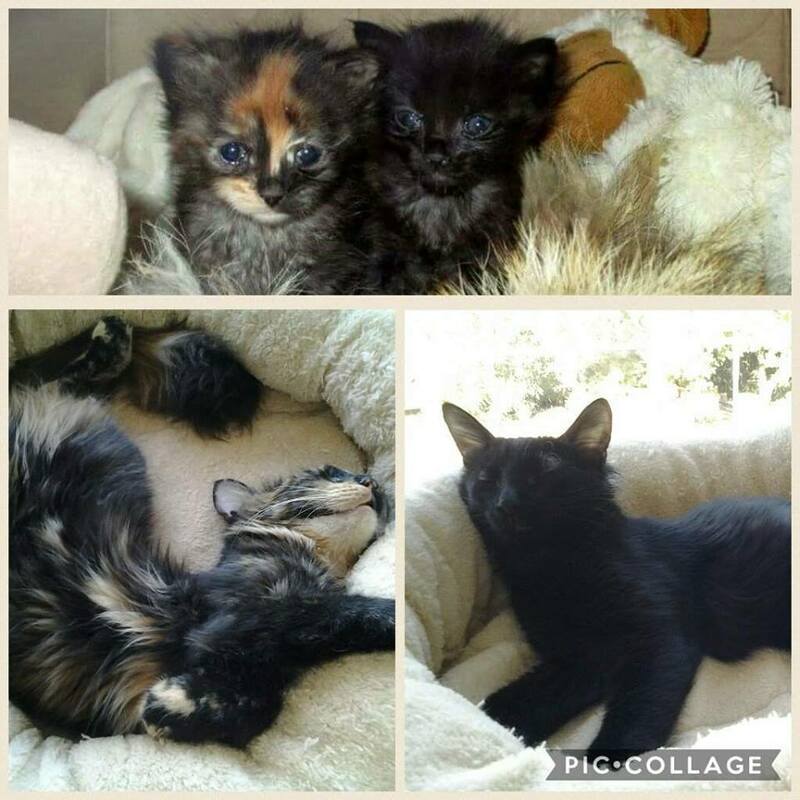 JACK, JILL, TARA & TERRY, our “New Kids on the Block”, moved into Kitten Room 1 after they were neutered on the 21st September 2017. ​They were in great danger as a woman threatened to poison them and we didn’t want them to end up like their brothers and sisters who were already found dead. 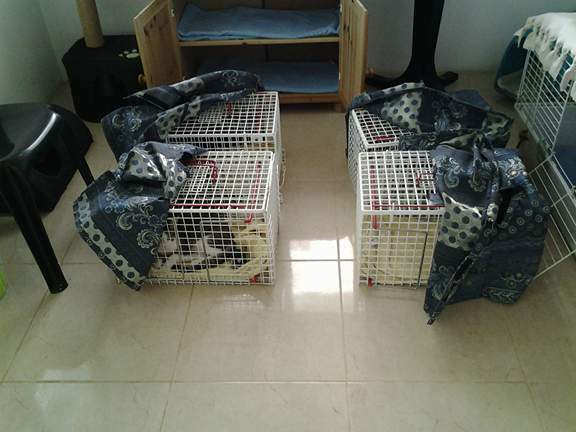 Two of their sisters were already taken in because they were in a very bad state but unfortunately they both passed away after a couple of days, poisoned…. one of them was Kizzi (see update 9th August 2017). At least these sweet little babies are safe and happy now; seeing them happy makes US happy! 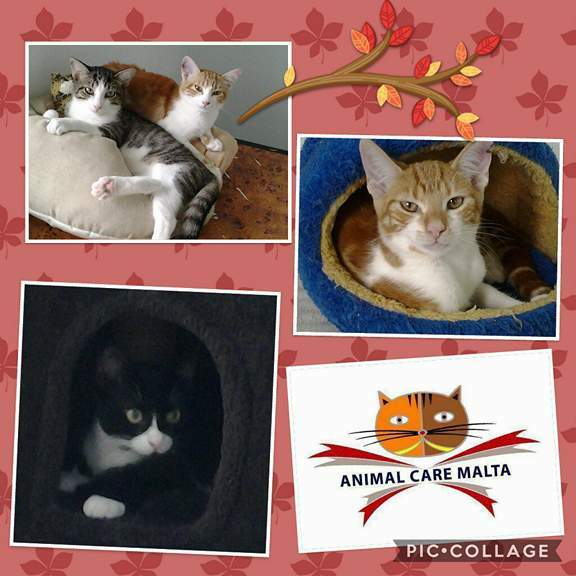 ​Last but not least we moved the two kittens who were saved from a yard in Mellieha (where they were unwanted and in danger). See update 31st August 2017. We caught their mummy also and they were with her for a couple of weeks in a recovery cage but she wasn’t taking care of them so we neutered her on the 15th September 2017. We NEVER had such a wild cat! We have to deal with wild (feral) cats all the time but this one takes the biscuit! When she was neutered, she woke already up when the vet was doing her ear cut; she was completely awake and started running around like crazy! According to the vet her blood system must be pure adrenaline to metabolize the anesthesia so quickly! We’ve put her in a cosy recovery cage in the cat house so she could be released after a couple of days into the sanctuary but Irma decided not to wait and managed to escape from the cage! We couldn’t believe our eyes! Fortunately we have the VERY best vet who does keyhole surgery and no stitches outside so we didn’t have to worry too much but still we were shocked. IRMA is now staying in a tree in the sanctuary so she’s hiding but safe. ​Unfortunately her two kittens have her blood; they’re both VERY wild and it’s impossible to treat the eye of one of them. We’ve moved them also into another room and were hoping that they would calm down but –like her mother- we NEVER had kittens like these! We didn’t even manage to take new pictures of them as they’re always hiding but we’ll try again in the coming days. 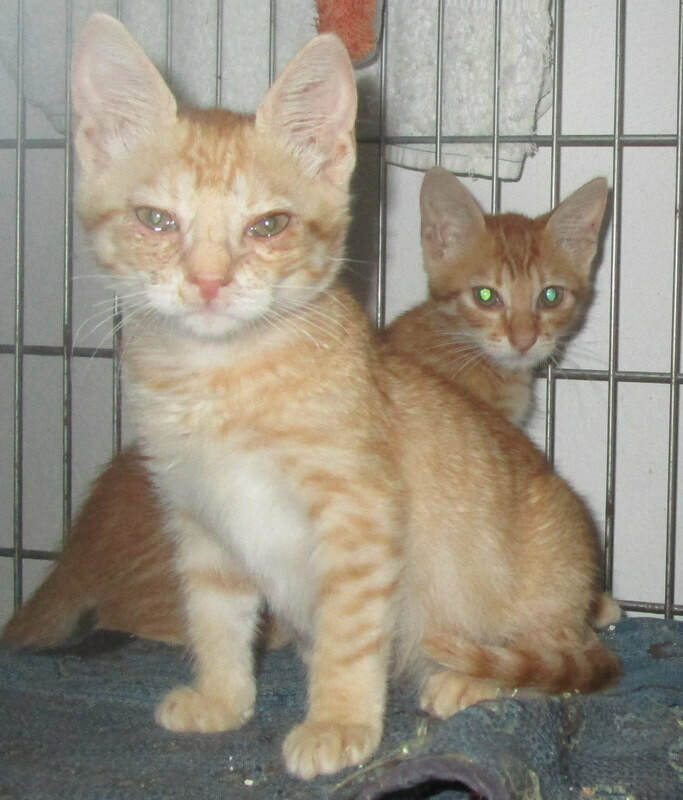 On a positive note: BONA & PASCUA, the two kittens who were found abandoned in a box on the pavement, are doing VERY well! They’re like feathers and so beautiful and relaxed! ​Finally we would like to give a BIG THANK YOU to our sponsors! Very much appreciated and we always try to thank everybody personally but sometimes we receive donations from a person we don’t know so we can’t thank him/her personally. You know who you are! THANK YOU for your monthly donation! When we came into the cat house this morning we found Rocco on the floor in a coma. Rocco was brought to us on the 2nd July 2016; he was skin and bones and couldn't stand on his legs. His owners had thrown him outside, without food or shelter and he was just roaming outside to find some food, water and affection when a neighbor found him and took him to our sanctuary. He already had kidney problems, most probably because of being neglected and being without (good) food for too long but he adapted very well and was the most lovely cat, always asking for cuddles and affection. We never knew how old he was, and we'll never know, but most probably he was quite old already, at least that's how he looked like. When we found him in a coma this morning, we put him in a quiet place on a comfy cushion and went to feed the other cats first but when we came back he already had passed away! 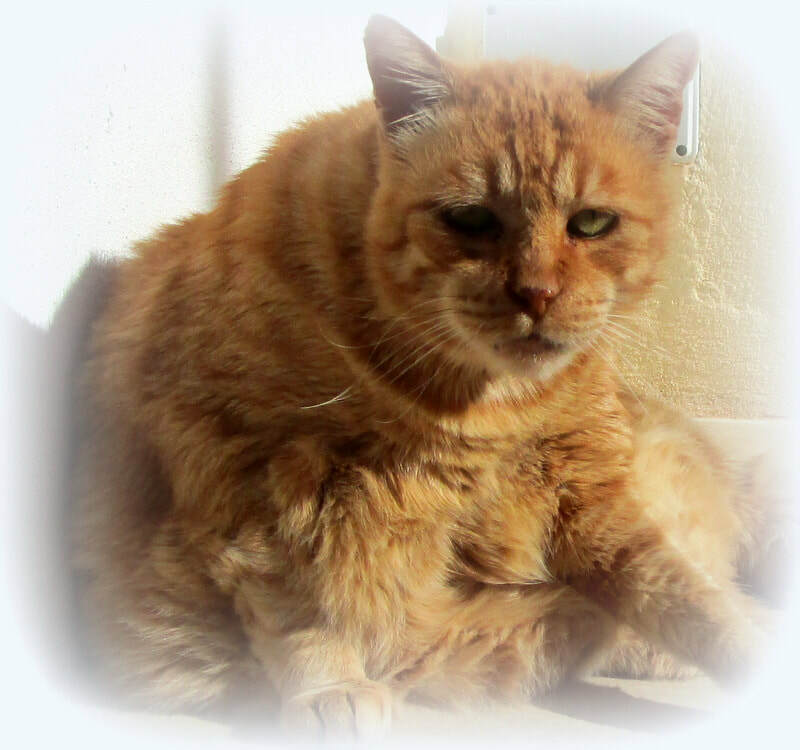 We knew that he wouldn't have a long life (because of his kidney failure) but we never expected this! Boxer, our oldest cat at the moment (16 years) also had kidney failure and became very weak these last days. 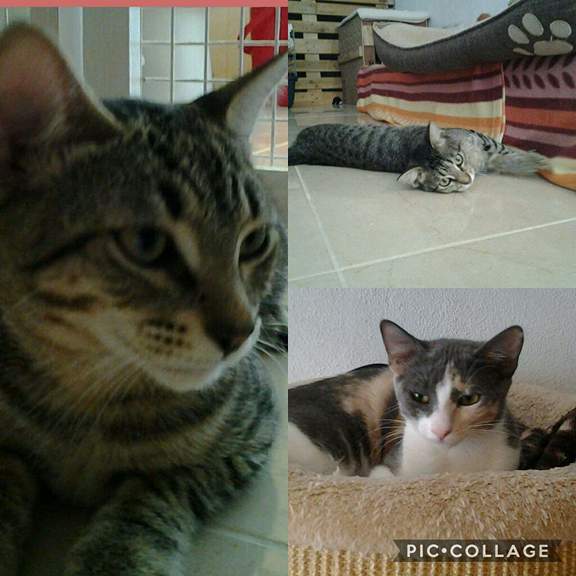 He came to us as a small kitten (we never knew from where he came) and always stayed with us; mostly outside but when we moved into our new premises last year we took him with us and he lived a happy life in our cat garden and partly inside our house. We kept him inside our house these last days to make him the most comfortable and pampered him 24/7, but this afternoon,at 5 pm, he crossed the rainbow bridge. After trying for 3 days (!) we managed to catch the second kitten today so now he's reunited with his brother and mummy. Unfortunately the mummy is VERY feral and attacks us when we're opening the cage so it's very difficult to treat the eyes of the kitten with an eye infection. 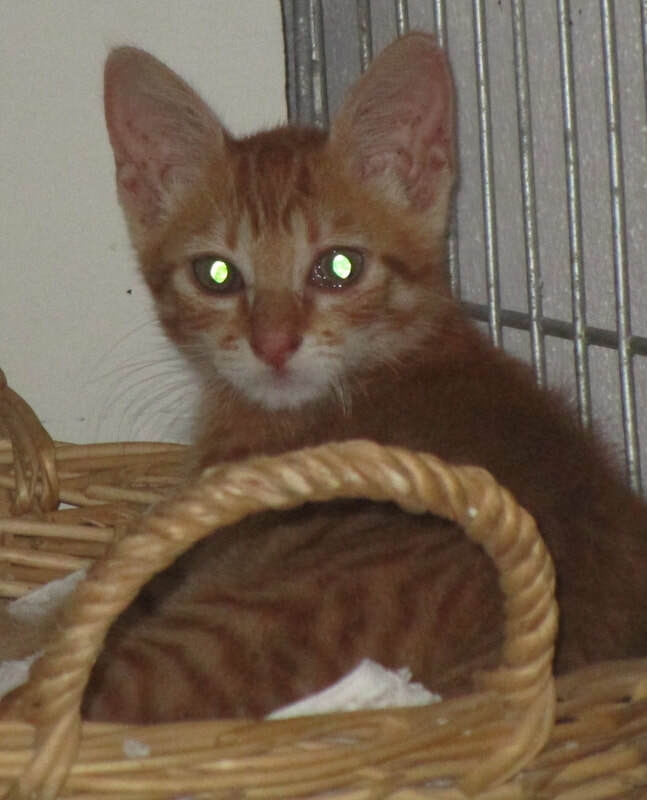 We never had a problem like this and would like to separate the kitten from his mummy, so we can treat his eyes better, but we're afraid that the mummy will get more upset.